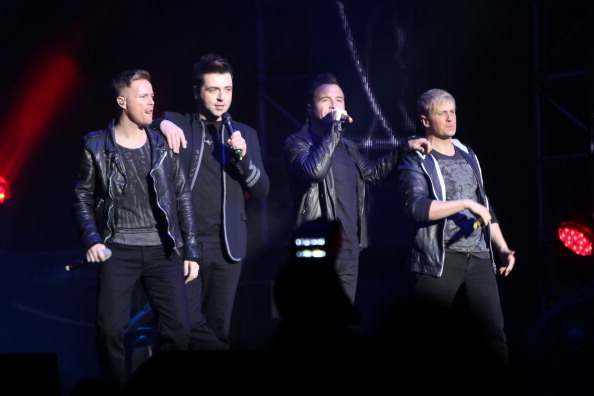 Westlife have unveiled a new track 'Beautiful World', taken from their Greatest Hits album out on November 21. Hear it below, you lucky pups. The new song is co-writted by band member Mark Feehily, John Shanks and Ruth-Ann Cunnigham. Further new songs on the album include 'Wide Open', 'Last Mile Of The Way' and their new single 'Lighthouse', which is out now and co-written by Gary Barlow. Westlife have also teamed up with the world’s first personalised CD company, ‘MixPixie’, to allow fans to create their own unique, personalised versions of the album. Available for pre-order now, fans buying the album directly from the Westlife website will be able to personalise the artwork template with their name on the front cover of the packaging thereby creating a completely personalised, unique version of the album.